Christmas Day will be in the garden, and it looks a treat. 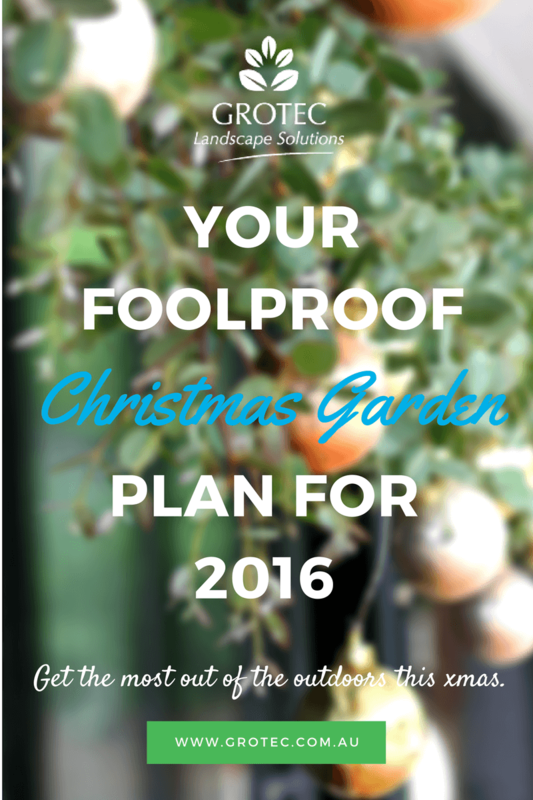 The Christmas garden is the place where we will all meet. The patio’s decorated, the barbecue’s on, and we can’t wait to eat! For the population living on the Gold Coast, the temperature on 25 December 2016 will be between 19 and 27 degrees, with high humidity. For most, it is too hot to be roasting and baking, and so Australians will favour seafood and meats, all to be cooked on the barbeque, with lots of salads, and served at the outdoor table. Plan to use your patio for most of Christmas Day. In preparation, empty any stagnant water containers, as these will attract mosquitos. There are plants that deter mozzies, and these will be valuable additions to your garden: Round leaved mint bush (Prostanthera rotundifolia), Southernwood (Artemisia abrotanum), and French marigolds (Tagetes patula) will all help to deter these pests, and will supplement the many commercial preparations that are available. Mow the lawn the day before, and titivate the garden. A decorated pine tree is not essential, and other varieties will make a great show on Christmas Day. South Esk Pine (Callitris oblonga), Woolly Bush (Adenanthos sericens), and Geebung (Persoonia pinifola) are all good-looking plants that can be decorated, and then planted in the garden after Christmas Day. Any soft toys? Put these around the base of the decorated tree. DIY decorations can be made, and so cut out santas, reindeer, stars, and trees, then sprinkle with glitter, and mix these with baubles and other hanging ornaments. Cellophane wrapped lollies will be very popular. Add these to strings of lights on the tree and around the patio – simple white, or flashing multicolour depending on the budget. 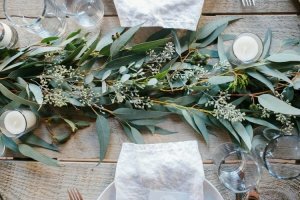 For the Christmas Day tables, decorate with Bottlebrush and Banksia flowers. 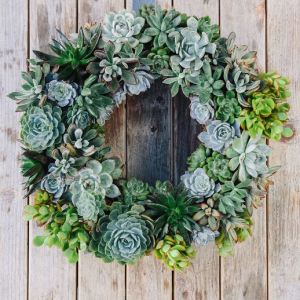 Succulents can also be used for table decorations or wreaths. Sphagnum moss wired to a circular frame, then succulents with lower leaves removed can be pushed into this. The wreath can be hung on the door or a wall. Leis or head bands for all the guests can be made from stringed Frangipani flowers, and Kangaroo Paw, Hibiscus and Dahlia flowers from the Christmas garden will brighten up the table or floral arrangements. And here’s an on-going gift for those ‘hard to buy for’ family and friends – arrange for Grotec to landscape their garden. No matter what size the area, the Grotec experts can design and build a garden that will keep on giving joy for years to come. So, Merry Christmas to you all from the team at Grotec.